Today I have a Design Team layout for the Get Crafty Design Team to share with you. 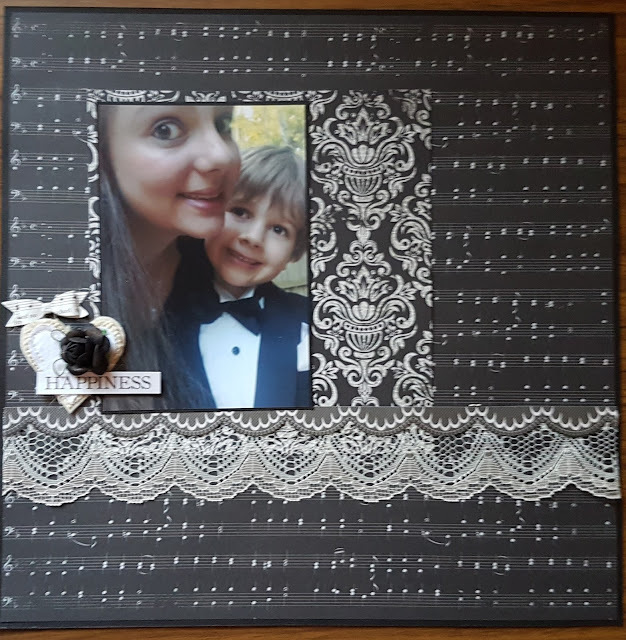 When I saw these gorgeous black and white papers in the Kaisercraft Christmas Edition range I was drawn to the fact so many of the papers would suit music photos or wedding photos so decided to use this photo of eldest daughter and Mr C at my brother in-law and sister in-law's wedding in 2011. 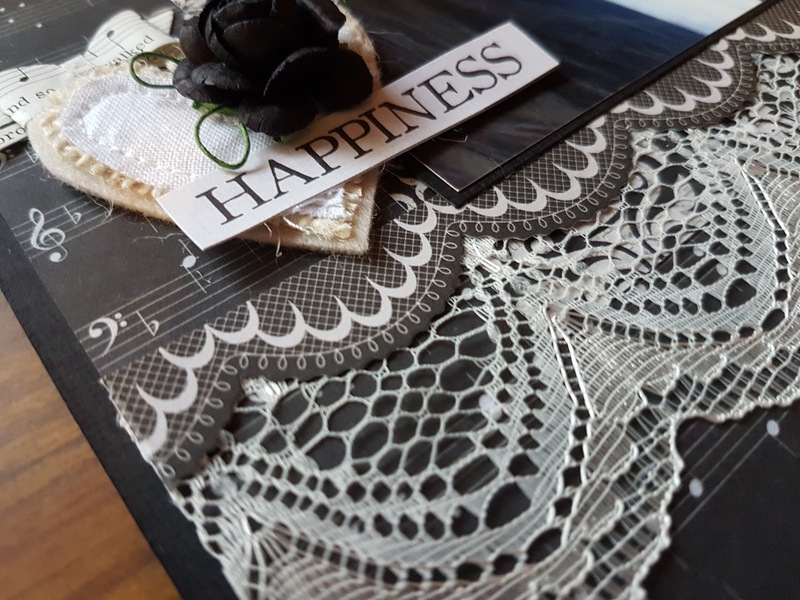 This lace from Get Crafty is just stunning and the perfect compliment to this range. I also added a heart from Charms Creations and a sheet music bow paperclip from my August Kit from Scrapping Fun Kits. Unfortunately I couldn't access my alphas so I left the page incomplete until I can access my alphas again. I love the layout, the papers, lace and black roses from Get Crafty are just a gorgeous combo for this photo. Do you use Christmas supplies for other projects? I have some gorgeous Christmas themed bits left from the range to use with this year's Christmas photos.